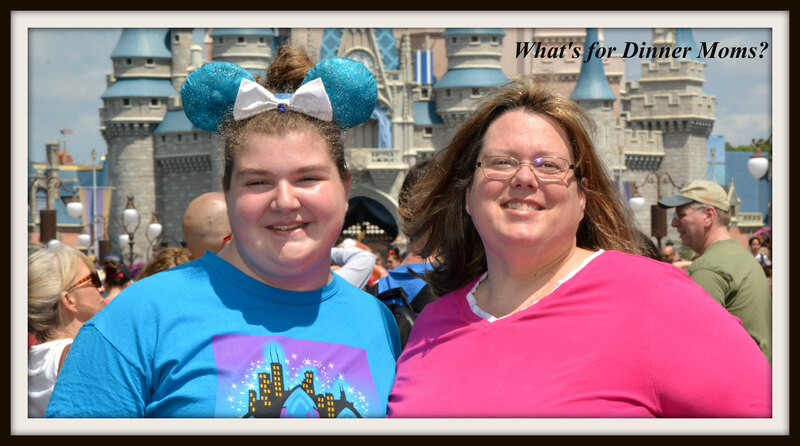 Photopass at Walt Disney World – What's for Dinner Moms? 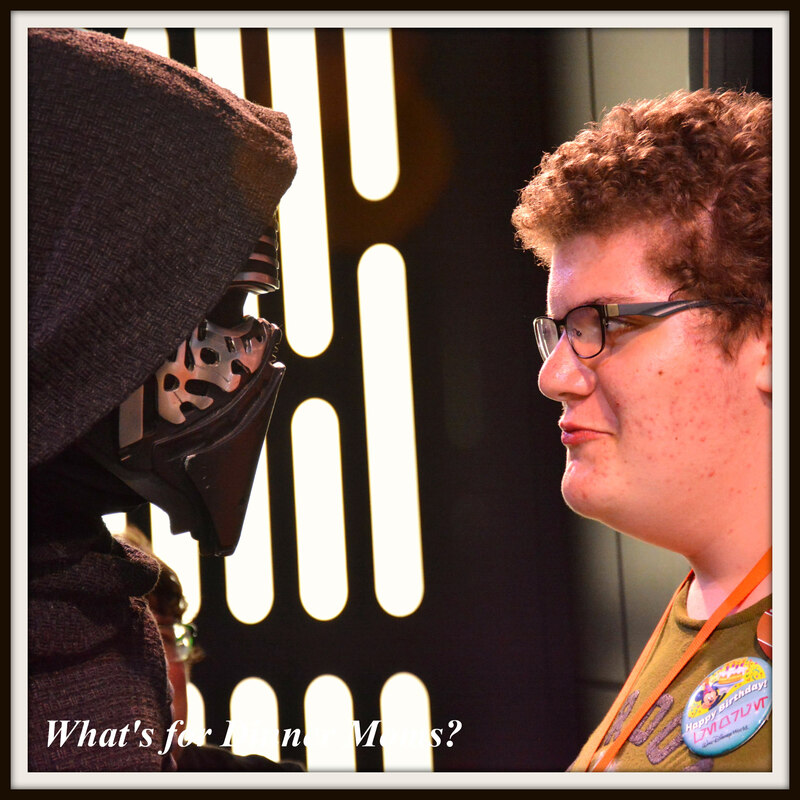 For years I resisted the Photopass add-on option for our Disney trips. When we would get home from vacation I would have 100s well, maybe 1000s of pictures and only 5-10 pictures with me in them. I don’t like getting my picture taken and I am the picture taker. I was always looking for the next cute shot or watching the kids through a lens do something fun. A few years ago I was looking for a picture of my grandmother to show my children. My daughter has vague recollections of her and my son has none at all. I have 2 pictures of her. One is about the size of a quarter that you can barely see her in and the other was shortly before she died. I don’t want my children to not have pictures of me to share with their families. I want them to remember I was there on vacation not just behind the camera but there with them participating. Disney Photopass helps with that. I add on the cost of the Photopass to our vacation now (currently $149 if purchased at least 3 days prior to a Disney World vacation). Any place we see a photographer in the parks, on the rides, or in Disney Springs the kids and I can get our picture taken. We have 165 pictures of us so far and we are only 4 days into our trip! So for less than $1 a picture I can have someone else taking my family pictures. I can edit these photos with borders, stickers, and crop the strangers out of my photos or make a close-up picture for our Christmas card (always thinking ahead :-)). By the time we are done with vacation and I edit the pictures I will probably have 400-500 pictures. I think it is well worth the cost of Photopass for our vacation. Yes we live local and our season pass includes the photopass photos. Some of our best family photos are from Disney! Well worth it. Enjoy your trip! Thank you! We are loving it all! I’ve never heard of photo pass at Disney world, but then it has been awhile since I was last there. I think that this is such a great idea and now you will have some great photos and memories of your trip. The picture of you and your daughter is so cute! Enjoy your trip! Awe, thank you! The photopass is a great idea if you ever get here again. When my kids went they did this too and it was awesome! We have so many cool pictures! Love your photos! A good reminder to all the photo-takers (like me) that the people who love us will feel sad not having photos to remember us by. What a lovely idea on Disney’s part! It is awesome! Today alone we have added 35-40 pictures. Yes! Great advice, I realized this as well recently. I’m always taking the photo, hardly ever in it! These are the memories you WANT your children to have of you! I went ahead and added it to our Disney trip too! Have a great time!! Great idea. The images are priceless, and treasures to be passed down for generations! This one of you and daughter is really nice. I love that photo of you Marci with your daughter! You both look so happy! This sounds a great thing to add. We’ve never used the photo pass before either, and like you, out of 1000s of pictures I’m in about 5. Would be nice to have family photos as this will be our daughters first trip. I have found it well worth the $150. I have us stop at all the photographers we can and take different combinations of groupings. I have 275 original pictures and when I finish with edits it will be well over 400. Yes it is! Love it! Make sure you get all the “magic” shots too. They are so cute. Enjoy your trip! It is a great time to be there.